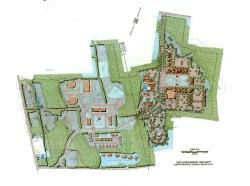 Hebron has a number of available and attractive sites suited for commercial growth, serviced by a strong infrastructure, major utilities, and municipal services with easy access to major highways and interstates. If you have vacant business or industrial zoned properties that you wish to list on the Town website, or link to your website, please contact John Guszkowski, Hebron Economic Development Coordinator, at hedc@hebronct.com . Village Green District. . . Interested in doing business in Hebron?